Adjustable height table. 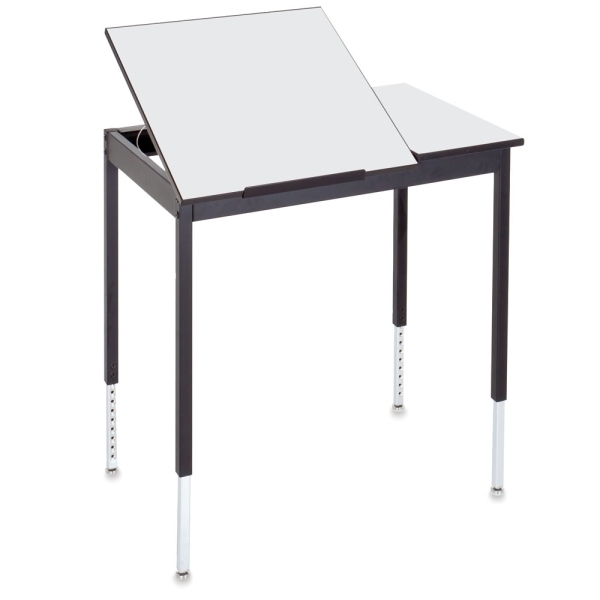 Melamine surface top slope adjusts from to 45° in fixed positions. Split-top models have a flat surface on right side. Built of heavy-duty welded steel frame fused. Drawer accessories. Available in sizes 24" D × 36" W × 38" H, weighing 66 lb (30 kg) and 31" D × 42" W × 38" H, weighing 84 lb (38 kg). ™ Smith System is a trademark.® Greenguard is a registered trademark.